Note:Standard serial port connectors are provided on included adapter cables. Note:Jumper block JB1 is a one-piece shunt. All pins 1 & 2 or all pins 2 & 3 are closed. 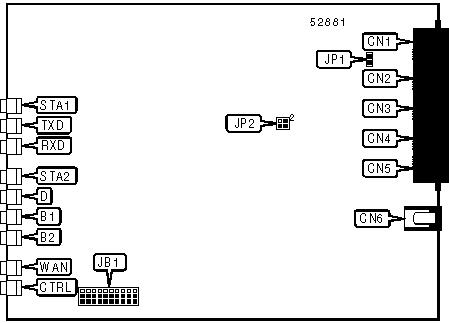 CN1 can be either an X.21 or an RS-232 interface on Model 76923. On all other models it is either a V.35 interface or an RS-232 interface.